The Ardelt-Rheinmetall 8.8cm PaK 43 Waffenträger was a self-propelled mount for the powerful but heavy 8.8cm antitank gun, as towed versions of this gun were too unwieldy for crews to move readily. Ardelt and Rheinmetall combined to build the first prototype and tests were conducted on this Ardelt I. The vehicle’s engine was fitted at the front of the hull, which permitted the main armament – an 8.8cm L/71 cannon – to be fitted on the rear. It utilized a 38(t) chassis with four road wheels per side. 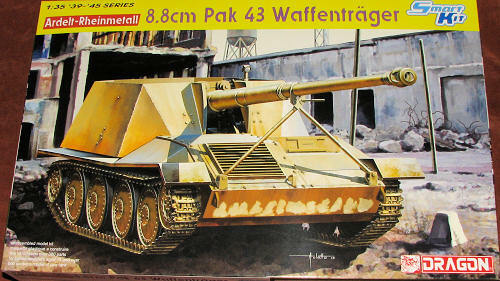 An improved prototype (Ardelt II) was later produced by Ardelt and Krupp, but the end of the war intervened before production got off the ground. This is another one-off from the Dragon family of kits. This time, it is based on the Panzer 38(t) chassis. 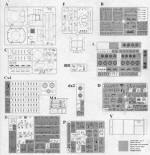 What that means is that you will find a lot of sprues in this kit that will only use a few parts. 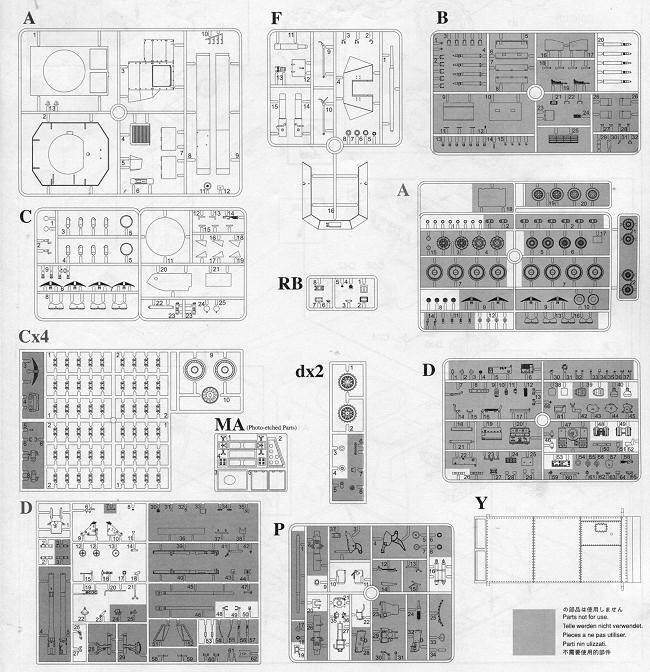 The majority of the kit seems to be new tool as this one has a totally different superstructure from others in this class. Aside from the gun, there is no additional stuff in the fighting compartment. I am sure that if this went into production, you would find shell racks, radios and other things jammed in there, but for a prototype, there is only the gun. This one is also light in parts compared to many Dragon kits with under 400 bits, many of them part of the individual track link system. This one only has ten construction steps so the instructions are just four pages. Though it shows two vehicles in the painting and markings guide, both of them have no markings on them at all aand are probably the same vehicle at two different times as one is listed for 1944 and the other for 1945. It is in overall Panzer tan, just like what you see on the box art. Thanks to Dragon and friends, those who revel in prototypes and very limited production vehicles have had a field day over the years. This one adds to that growing list and for the 'Wehrmact '46' crowd, you have another vehicle to which you can add your imagination.